The IAHP didn’t have a large enough budget to spend on a designer. As such, no branding for the exhibition’s marketing collateral had been set, and the materials in circulation did not have a cohesive look or a well-executed design. The department had not been successful in getting a significant number of submissions. 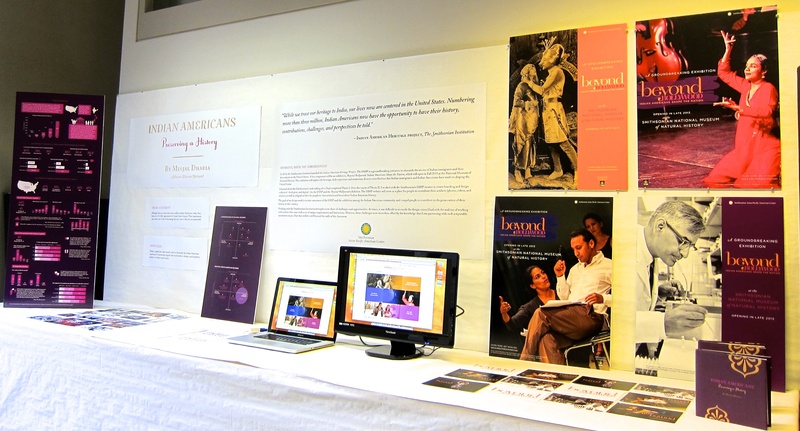 The goal of my design work is to encourage contributions and raise general awareness that an exhibition on Indian American history was being planned. So, without further ado, here are the pieces I completed for the IAHP. In addition to the above, I updated the Facebook profile page for the IAHP that is consistent with the new designs. The Facebook page serves as a place for younger Indian Americans to learn about the IAHP and the exhibition, as well submit their photos and stories directly to the APA.